Howard County Executive Calvin Ball will provide an update on progress in the first phase of his Ellicott City Safe and Sound plan. ELLICOTT CITY, Md. — After two catastrophic floods in two years, Howard County discovered a way to protect Ellicott City from future disasters. Howard county executive Calvin Ball introduced phase one of project back in December. Ball is expected to give updates on how it's been going so far Wednesday morning. He's also expected to provide a status report on repairs to Ellicott Mills Drive. The road was washed out during the flood last May. Along with the update, Ball is expected show a new Safe and Sound website that’s planning to launch. 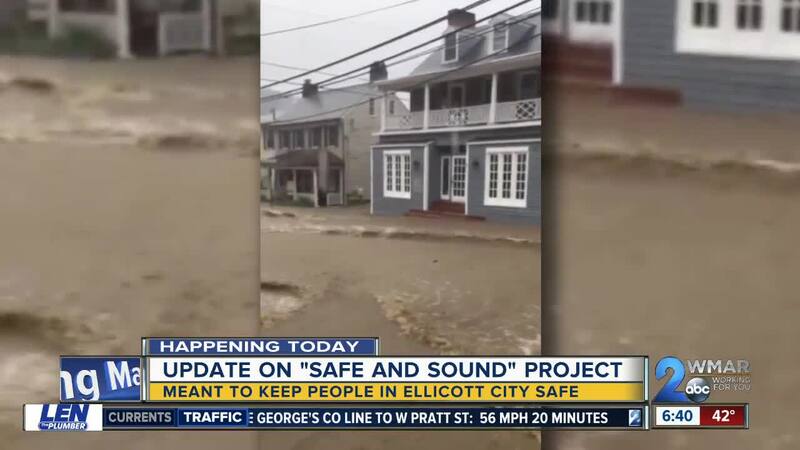 Safe and sound is a plan created to keep the charm and history of old Ellicott City, while also keeping people safe. This comes after Ellicott City was hit with two deadly and devastating floods in two years. The plan includes different phases. The first phase that's already underway includes things like new technology for the emergency alert system, securing buildings along main street and clearing debris from nearby waterways. The meeting is scheduled for Wednesday, February. 7 at 11:30 at the welcome center on Main Street.